Shampoo is the foundation of every good hair routine. It’s also your first line of defence against limp, dry or damaged hair. Sadly a lot of your everyday shampoos actually contain ingredients that are known to be super drying: Things like alcohol, SLS or silicone that can crack your hair’s cuticle layer wide open, and leave the delicate inner cortex exposed to dry air. If you’re struggling with limp or damaged hair, it can be helpful to move away from these shampoos and try something a little gentler. Hydrating shampoos are a great place to start. They’re normally super gentle on dry hair and they rarely contain the kind of harsh surfactants that cause long-term damage. If your hair’s looking limp and lifeless because of heat damage, you could also look at shampoos that are formulated to regenerate or repair your hair. 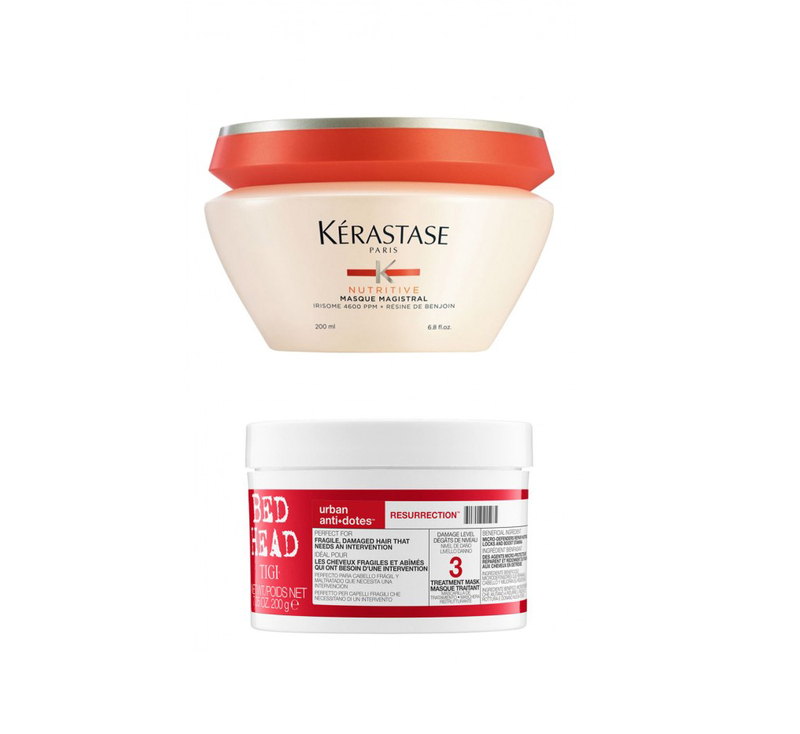 These products generally contain a unique balance of proteins that help to mend damage and strengthen individual strands. We’re head over heels for Designline’s Mend the Ends shampoo – simply because it’s one of the few products that’ll genuinely make your hair feel stronger and more manageable after just 1 or 2 washes. Unlike a lot of restorative shampoos, it also has a super-gentle formula that won’t exacerbate any winter-related damage. Redken’s Extreme Shampoo is another great choice. Alongside a whole host of super-beneficial ingredients, this salon-quality shampoo is also enriched with a blend of 3 carefully chosen proteins that can reduce breakage by up to 75% – Great news if you’re sick of split ends! 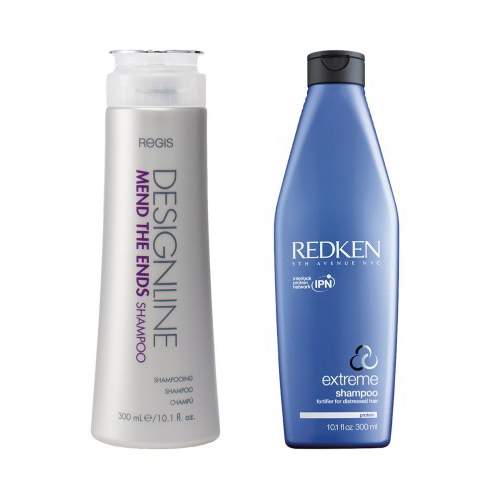 Redken’s Extreme is also pretty high up our list of must-have shampoos because it does a brilliant job of making limp hair feel bouncy, glossy and full of life. If you need a real pick me up, you won’t find anything better. The right conditioner can also restore some of the smoothness and bounce to your hair. 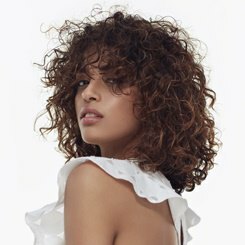 In fact, good conditioners are probably dry hair’s best friend – what with their ability to smooth over the cuticle layer, and lock moisture into each individual strand. You do have to be careful when it comes to picking a new conditioner though: If you’re anything like us, you’ll find that some products can build up in your hair quite quickly, leaving your hair looking greasy, lifeless and limp. Since most of these issues with build-up stem from an over-abundance of heavy oils, avoiding products that are designed to smooth or add shine should stop your hair from getting weighed down with excess product. We’d also recommend steering well-clear of conditioners that offer frizz control – particularly if you’re suffering from winter dryness and need to re-moisturise your hair without bombarding it with too much product. 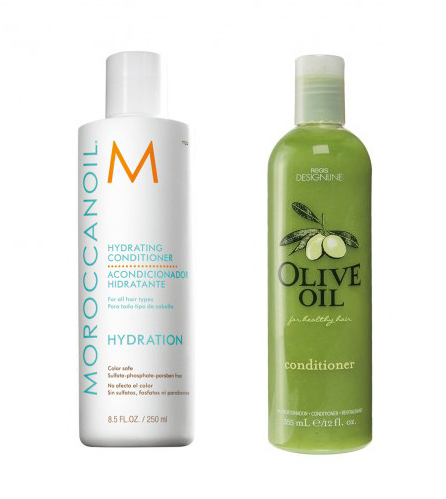 We’re madly in love with Morrocanoil’s Hydrating Conditioner at the moment. It’s packed with vitamin a and it’s also enriched with argan oil which is super replenishing in its own right. Designline’s Olive Oil Conditioner is another great pick for damaged hair because – as the name suggests – it’s formulated using natural olive oil which is prized for its ability to nourish and repair damaged hair. 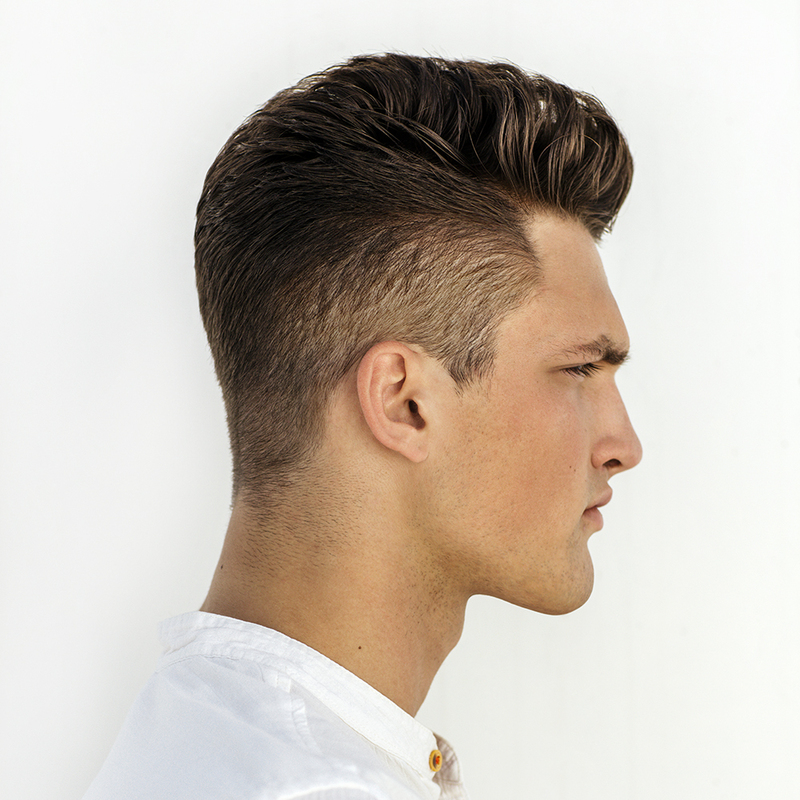 You can also keep your hair looking glossy and vibrant by making small changes to the way you condition. 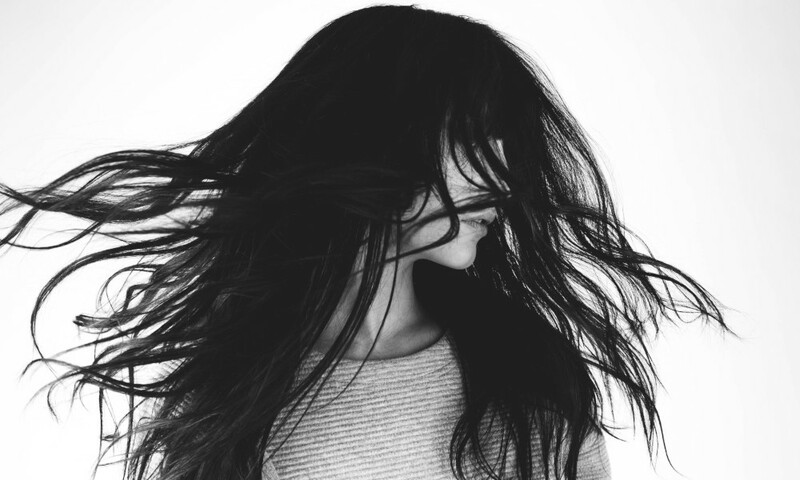 According to some of our top stylists, avoiding the roots can be helpful because your hair produces its own conditioning oil right at the base of your hair, and combining the two types of oil can quickly lead to build-up. Hair masks can feel like a bit of an indulgence, but they’re actually pretty important if you’re struggling with limp or dry hair. These deep conditioning products are one of the few treatments that can actually penetrate the inner layers of your hair, which means that they’re also one of the few products that can dig down deep, and start reversing some of the damage that causes your hair to look limp, flat or dry. Better still, hair masks generally take between 30 and 60 minutes to do their work, which means you’ve got a great excuse to kick back, and unwind while you nourish your hair. Stylists generally recommend using a hair mask at least once per week but if your hair is looking super dry you might want to try once every three days instead. In terms of what you should be looking out for, replenishing proteins are a must-have, as it’s these ingredients that’ll be doing all the heavy lifting, and replenishing some of your hair’s natural softness. Lightweight hydrators like jojoba oil are also good, particularly if you want to put some of the shine back in your hair. We think Kerestase’s Nutritive Masque Magistral is a great place to start. Like most of Kerastase’s nutritive range, this wonderful little mask is packed with nourishing ingredients – including a special irisome complex that’s specifically designed to replenish and rejuvenate dry hair. Tigi’s Urban Antidotes Resurrection Treatment Mask is another top pick – doubly-so if you’re new to hair masks. It’s got a very gentle formulation that’s great for fragile hair and it’ll leave your hair feeling incredibly soft and supple which is always a big plus. 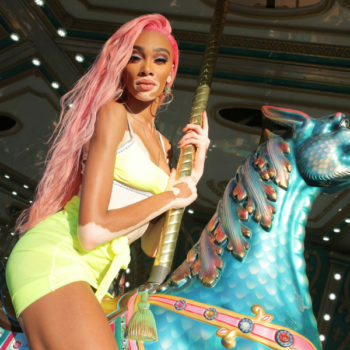 Serums are another antidote for dry (or damaged) hair that often go unnoticed, and we think that’s a huge shame because if you use them properly, serums can be hugely beneficial. These treatments are normally designed to be used on damp hair, and you’re meant to leave them in all day so that they can slowly replenish any missing nutrients. They’re subtle, but they’re a sure-fire way of combating dry hair and they do offer some protection from the elements as well. You can’t just grab any old serum though. If you’re trying to remedy winter damage, you’ll need to pick something lightweight that’s specifically designed for dry hair or split ends. These serums are generally formulated using a hydrating oil and plenty of replenishing ingredients, including keratin (for repairing damage) and a healthy dose of frizz-busting nutrients. Our favourite serum for dry hair is definitely ghd’s Smooth Finish Serum, which is specifically designed to lock moisture into your hair, and protect it from daily wear and tear. 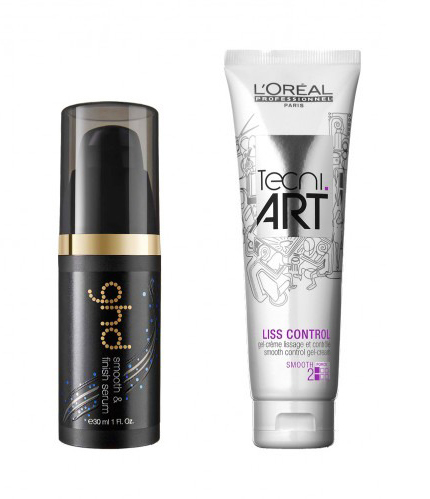 L’oreal Proffesional’s Techni Art Liss Control is another salon-quality serum that’s geared towards offering lightweight nourishment for damaged strands. There’s no getting around the fact that oil treatments can be quite intimidating – particularly if you haven’t used one before, but we think they’re well worth a look because their moisture-replenishing powers are unparalleled and they’re more than capable of breathing fresh life into your hair. Oil treatments work by sealing over any cracks in your hair’s protective layers, and providing the beneficial antioxidants needed to ward off the damage from cold air, environmental pollutants and heat damage. They’re incredibly versatile too: You can rub them into your hair before shampooing if you want to enhance your shine, or massage them into damaged ends for an overnight treatment. Just be careful not to use too much, or you might find that your hair starts to look a little limp and lifeless. 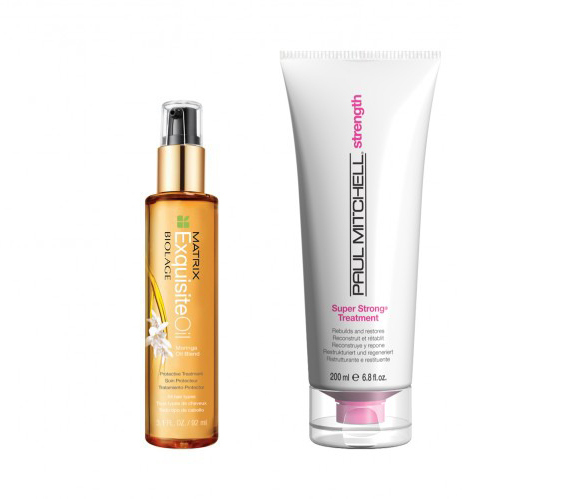 Our favourite oil treatments are Matrix Biolage’s Exquisiteoil Protective Treatment – which is formulated with lightweight oils and provides some incredibly nourishing ingredients – and Paul Mitchell’s Super Strong Treatment which is specifically designed to nourish and replenish fragile locks. Sometimes your hair is simply too dry, damaged or tired to respond. Whether it’s the result of harsh colour treatments or prolonged exposure to the elements, we often find that there are times when even the very best mask can’t breathe fresh life into our hair, and it’s at this point that we’d always start looking for some expert intervention. 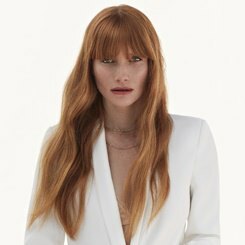 Our stylists are well-versed at treating damaged hair and we actually offer a selection of treatments that are specifically designed to tackle moisture-related issues head-on.They’ll also be able to recommend some products to help protect your hair from further damage, and help you come up with a good hair care routine. So, if you are suffering from persistent issues with dull or dry hair, you can always book an appointment at your local Regis salon and let us take care of the rest. Found a product that you love? Share your haircare stories with us @Regisuk using the hashtag #regisuk!